How is the website usage visualized on screen? 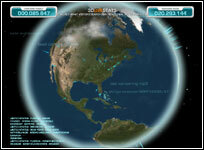 After the tracking code is incorporated in your website, it immediately starts to gather usage data from your website. 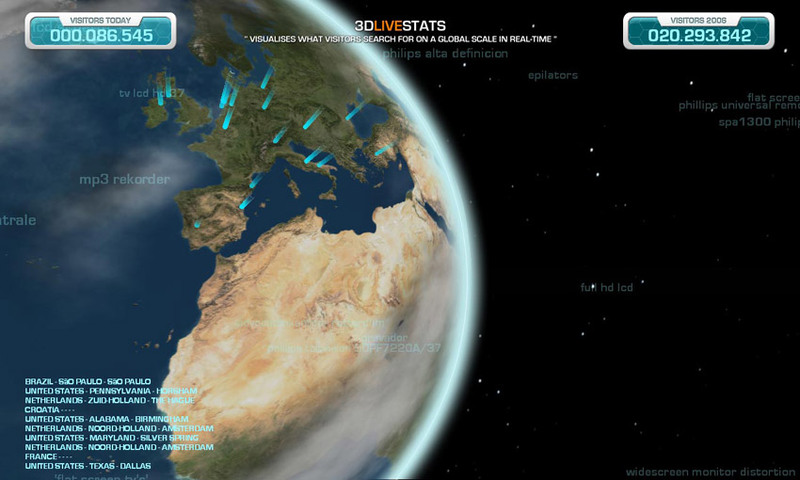 Below you find some of the features of 3D Live Stats explained in detail. 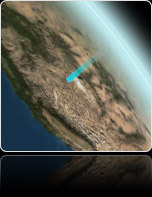 Light beams appear at the exact location where the user is located. 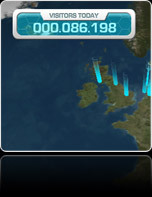 If a user from London is visiting your website, a light beam will appear on the globe at the exact location in England. After a few seconds the beam explodes and fades away again. See how the earth lights up like a big Christmas tree. Counters at the top of the screen give you the exact number of visitors you have so far for the current day. Plus a counter which sums up the total number of visitors for the current year. 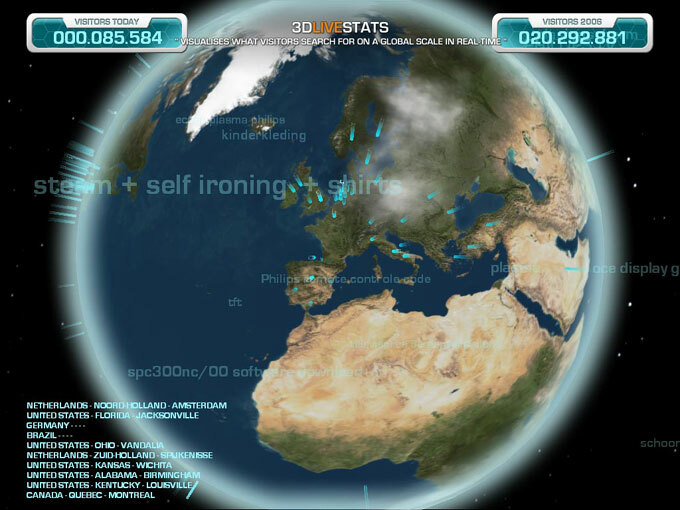 In the bottom left corner a list scrolls upward, that shows the last ten locations of the visiting users. 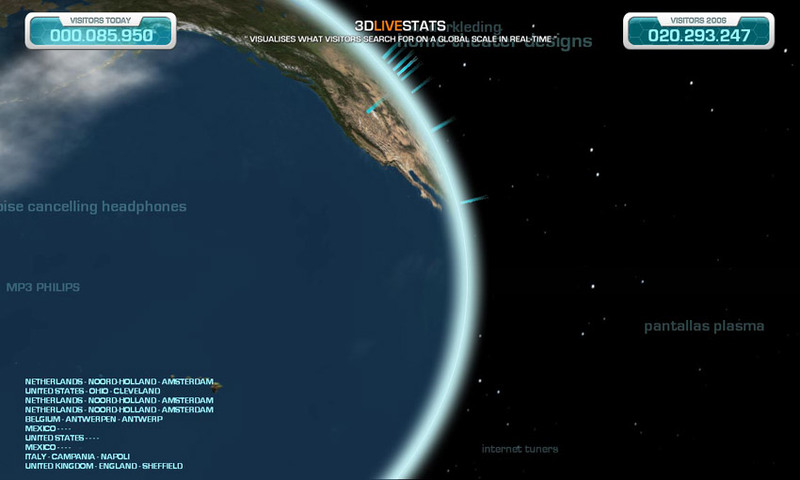 This coincides with the light beam appearing, a line is displayed with the location of the user. For example “United Kingdom, England, London”. 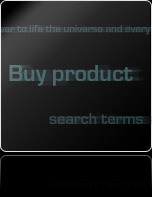 When a visitor types in a search query in Google, Yahoo, MSN (or any other major search engine), and finds your website, that search query is displayed scrolling across the screen. You can also configure the tracking code to automatically display the page title or if you prefer, a custom title. When a user performs an action, like booking a trip on a travel website, it can display the destination of the trip. Some screenshots and a video of 3D Live Stats in action. 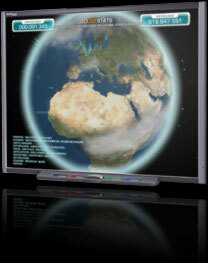 For people who have an interactive whiteboard or SMART board, there is a special mode that gives them the ability to turn the earth with their fingers. In the style of "Minority Report©". The layout is changed to better experience rotating the earth.